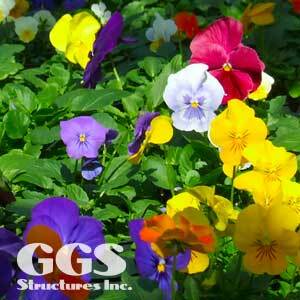 The following is a post from our guest bloggers, Yoko Arakawa and Linda Anderson, mum growers from Longwood Gardens. 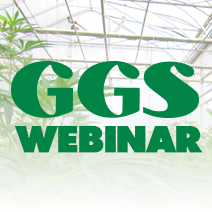 Ever wonder what is going on in the greenhouses at this time of the year? 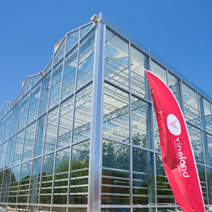 While you are enjoying the beautiful summer display, Longwood’s growers are already getting ready for fall! 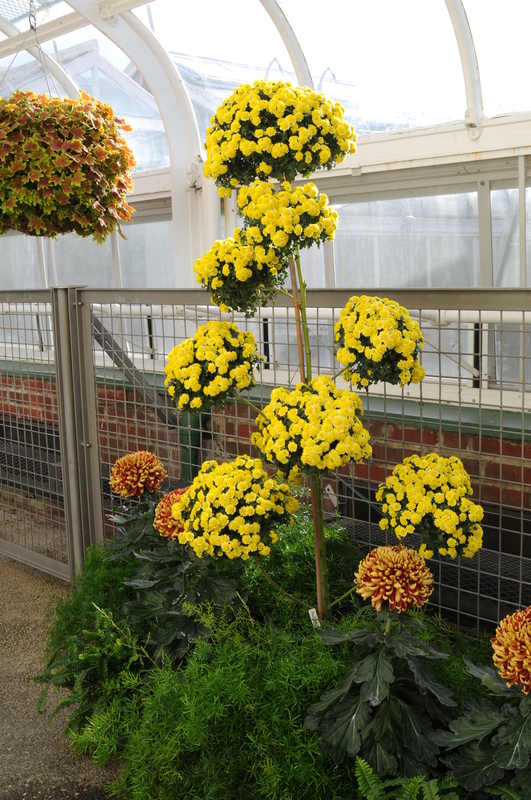 One of our biggest projects at this time of year is to complete the grafting process that allows us to grow the large specialty chrysanthemums that will be on display during our Chrysanthemum Festival. Grafting chrysanthemums is not a common subject you learn in school. 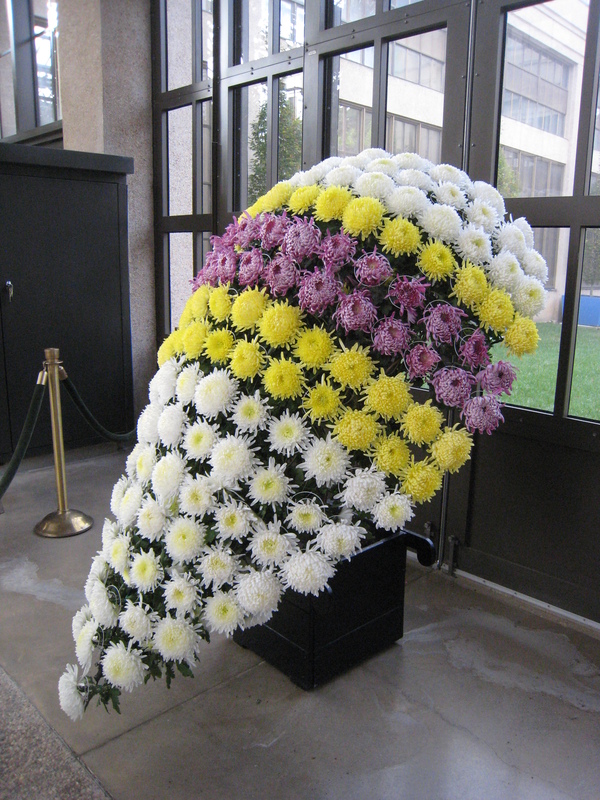 We were taught this special technique from Chinese and Japanese specialty chrysanthemum growers, and use it to make eye-catching specialty mum forms for our display. 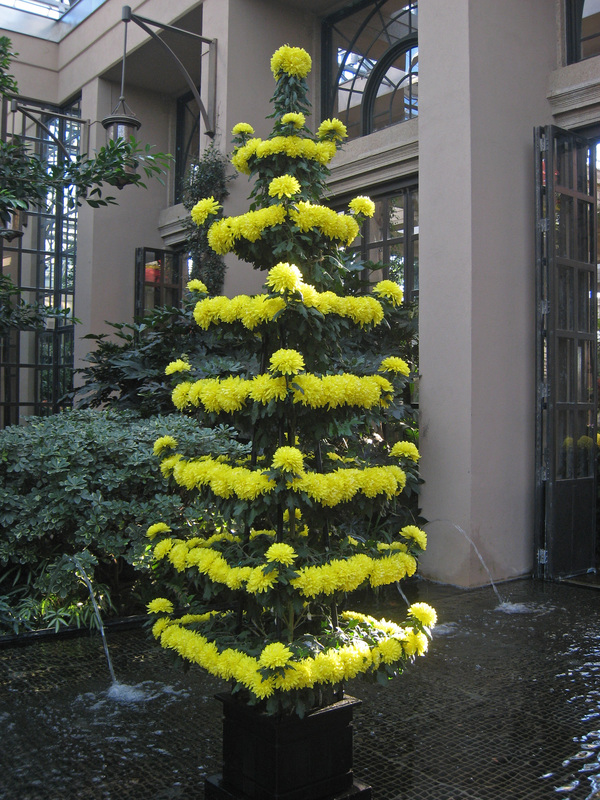 Grafting mums is very common in China and has a long history, but there are no written records of when it started. In Japan, the first record is found on an 18th century Ukiyoe, a wooden block printing. We began practicing this new technique a couple of years ago and are continually learning and experimenting to create new forms. During last year’s display, we had many different forms, including the tri-colored dome, 100-cultivar, pagoda, tri-colored shield, and pom-pom. 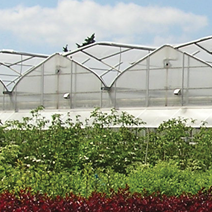 We first trialed the tri-colored dome in 2008. You might remember the first one was not perfect, but with practice we are getting better. We saw our first pagoda shape in 1995 when somebody brought us a picture. We had no idea how to make it until we saw a Chinese display in 2010. We had tried various, small experiments but were unable to finish until we learned hands-on, and last year’s pagoda was our first on display. The grafting style we use is called “cleft style.” As you see in this video, we slice the stock stem down the center and insert the tapered grafting tip into the slit. Then we carefully wrap it with Parafilm, which is commonly used in laboratories. It holds the grafted tip tightly in place, seals the cutting area and helps the cut surfaces not to dry out. In two weeks, the tip tissue connects to the stock and it starts growing. The key to successful grafting is for the stock stem to be young and fresh (the inside green with no pith). Sometimes the Artemisia stem accepts the graft with some pith inside, but it’s difficult to get good results. Matching the stem thickness between stock stem and grafting tip is also important to connect the vascular systems together. Creating our specialty mum forms is a year-long process. 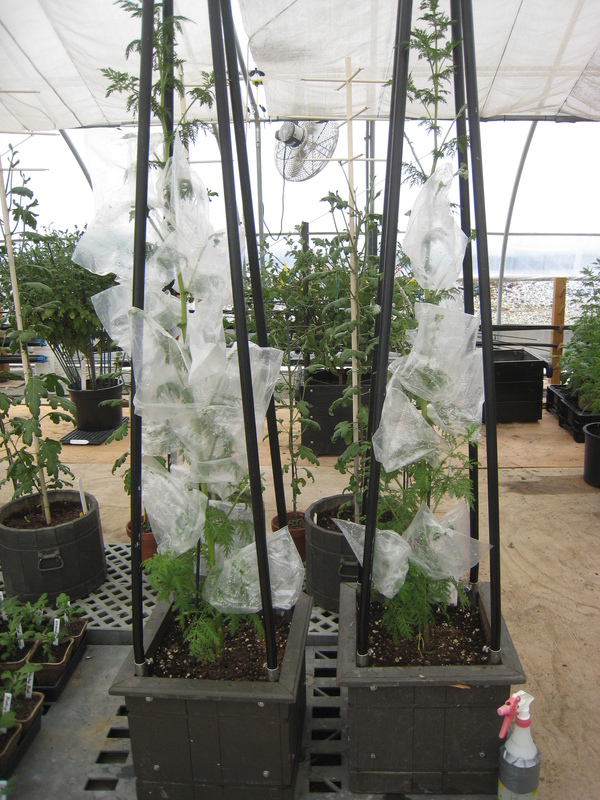 For example, to make the pagoda form, we start Artemisia seeds in fall and grow in cool conditions. Then we graft the chrysanthemum tips in May and June, once the Artemisia stems get thick enough to match to the chrysanthemum shoot. 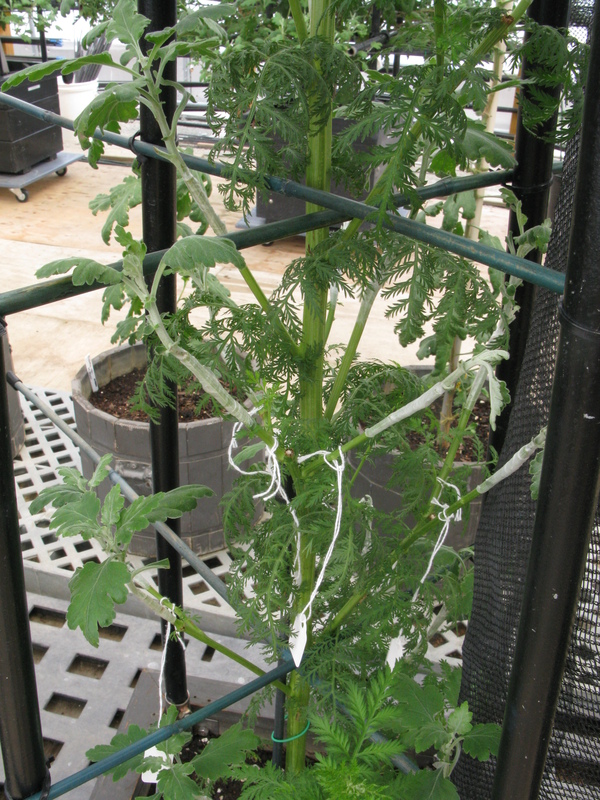 As the Artemisia stems grow thicker, we will graft several chrysanthemum stems, according to thickness, at a time. 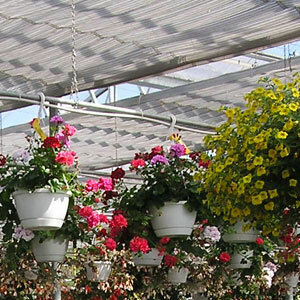 We pinch the tips to promote more stems until the middle of July, and disbud to one flower in September. Just before flowering, we arrange the flowers to make the roof shape, using twist ties and bamboo. 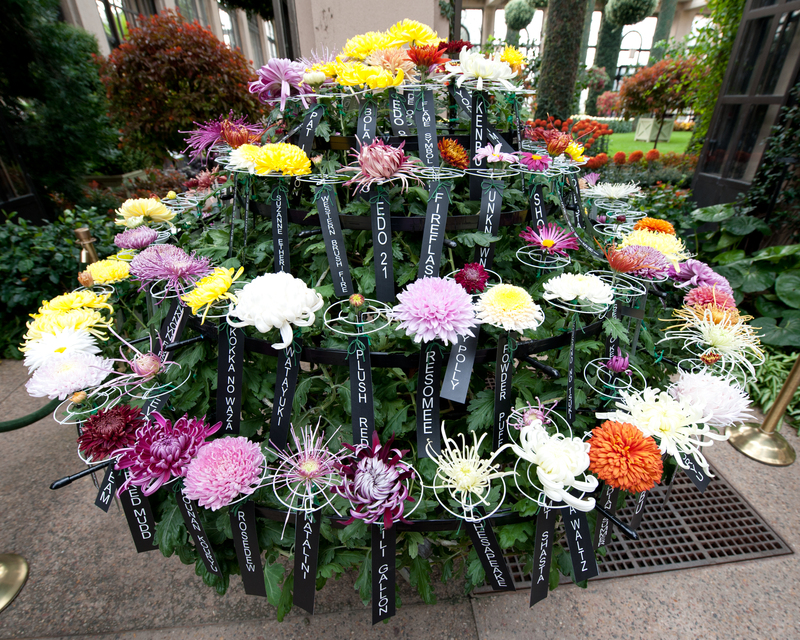 Soon we will begin grafting the 100-cultivar chrysanthemum for this year’s display.